After creating conflict in DC, Rhee went on to found Students First. Students First’s biggest publicity stunt was arguably their State Policy Report Card (SPRC). A look at the 2014 version clearly shows bias in their “methodology” against states that provide teacher input and say in education policy. For example, states were dinged in the report card if teacher evaluation was subject to collective bargaining. Her tenure at Students First was short lived when it was announced Michelle Rhee Will Leave CEO Job At StudentsFirst. My sources here in Sacramento tell me that the organization is having a fire sale on their possessions and space. Campbell Brown left television to do battle with powerful teachers unions. I was actually surprised to find out recently that Campbell Brown follows me on Twitter (@ProfessorJVH). I suspect I might get deleted after this post. So were/are Campbell Brown and Michelle Rhee right on unions? 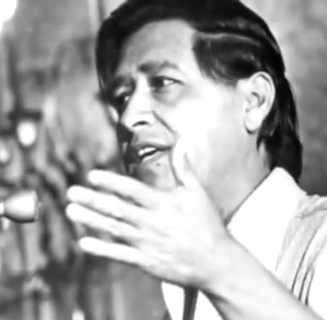 Speaking of history…Happy Birthday César Chávez! Today and everyday we honor César Chávez and his leadership in the struggle for the rights of people. I drew from the archive of his wisdom on the UFW website to contrast Chávez with Rhee and Brown. The format is commonly asked questions and arguments posed by critics of unions answered by Chávez. Do unions stand in the way of “reform”? When you have people together who believe in something very strongly – whether it’s religion or politics or unions – things happen. Can unions lead to more social justice? The road to social justice for the farm worker is the road of unionization. Our cause, our strike against table grapes and our international boycott are all founded upon our deep conviction that the form of collective self-help, which is unionization, holds far more hope for the farm worker than any other single approach, whether public or private. This conviction is what brings spirit, high hope and optimism to everything we do. That is the original quote… could it also read? The road to social justice for [students] is the road of unionization. Our cause, our strike against Rahm Emanuel school closures and our fight against high stakes testing are all founded upon our deep conviction that the form of collective self-help, which is unionization, holds far more hope for students than any other single approach, whether public or private. This conviction is what brings spirit, high hope and optimism to everything we do. Are unions about lobbying or organizing? …So they are trying to do something about it. They are not doing it by seeking charity. They are not begging at the welfare office. They are not, like many of their employers, lobbying the halls of Congress with their gold plated tin cups asking to be paid for not growing crops. They are trying to do it in the way that millions of other Americans have shown is the right way-organization, unionism, collective bargaining. Should unions picket and strike? Organizing is an educational process. The best educational process in the union is the picket line and the boycott. You learn about life. Are unions only about money or instead organizing? The life of the union depends upon more people getting to share the limelight, because with the limelight also comes responsibility and with the responsibility comes a little sharing of the load. There isn’t enough money to organize poor people. There never is enough money to organize anyone. If you put it on the basis of money, you’re not going to succeed. Our union represents a breaking away…represents sharing a power, represent questioning, represents a new force…however long it takes, we are geared for a struggle. Are unions the “fat cats”? Our struggle is not easy. Those who oppose our cause are rich and powerful and they have many allies in high places. We are poor. Our allies are few. But we have something the rich do not own. We have our bodies and spirits and the justice of our cause as our weapons. Do I think unions are perfect? I discussed this previously in the post EdWeek Series Beyond Rhetoric: Should Teachers Unions Reform? No. But, I, the grandson of farmworkers, choose César Chávez and his vision for organizing the people and democracy. Who do you choose? Wanting to reform something, anything, and not include the people who deliver the product or service is not reformation. To embark on an improvement process and not include the people who are skilled, experienced, and have collective expertise is madness. To blame people for current situations is something quite different from improvement. It a maneuver in power and control and perhaps on the surface it is concerned with advancement. In actuality it is concerned about having the upper hand, making arbitrary decisions and expecting others to accept them. I am not a fan of trampling over people. 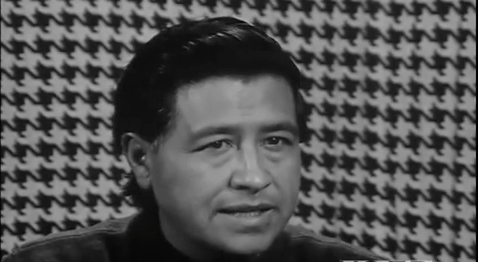 César Chávez was a person who made history. 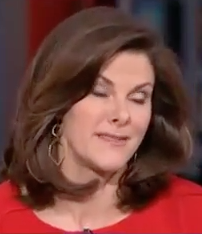 Campbell Brown and Michelle Rhee are just making time. Chávez was a leader who challenged people to know their worth, to stand up for who they are and what they do. Brown and Rhee beat a drum about helping others without knowing those people, and their daily school and home life experiences. Chávez did not advocate taking the rights away from one group in order to achieve rights for Farmworkers. As far as I can ascertain, Brown and Rhee are all about stripping the rights of teachers in the name of better educating children. Justice does not work like that. Hopefully Campbell Brown will learn this important lesson before she joins her contemporary, Michelle Rhee, in the dusty corners of forgotten opportunists in the annals of history. I had the honor of meeting César Chávez on his birthday. It was at a Labor rally and I was representing my teachers union. The rally was shortly before his last hunger strike and death. After the rally, I was loading my car with a ton of materials to distribute to teachers. I was told that Mr. Chávez wanted to speak to me. I was surprised and excited only to be totally overcome with his quiet intensity. He wanted to thank me for being there that day. He told me it was so important that teachers supported the Farmworkers. It was important to him personally as well.He wanted me to know that if my union ever needed the Farmworkers, just to let him know. I made my first speech at a union meeting and successfully passed a motion that our organization support the Farmworkers with a number of activities, including a grape boycott to protest the spraying of pesticides on people while they worked. When César Chávez died, our union mourned him and wore black arm bands. When we went on strike, the United Farmworkers walked our picket lines. César Chávez had passed away but the Farmworkers were there with us. Are unions perfect? Would it be logical that unions be perfect in an imperfect world? No. Do we strive for a better world for ourselves and all people? Absolutely. Will people sincerely work with unions in that quest? We certainly hope so.